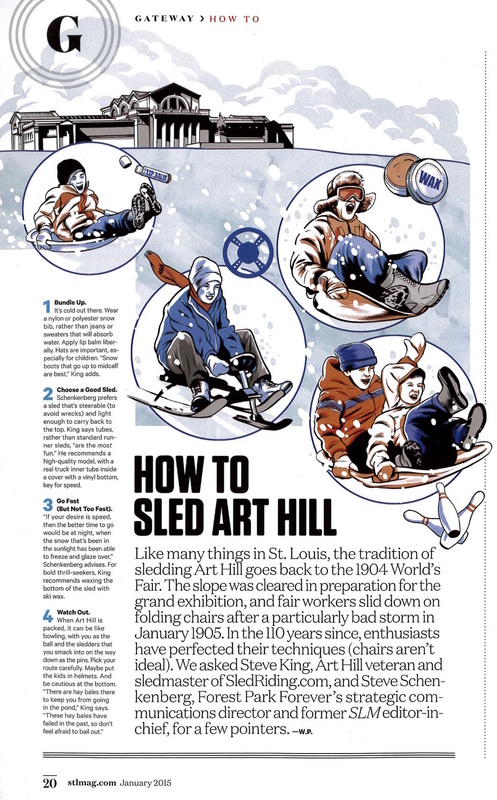 New St. Louis Magazine Features Article on "How to Sled Art Hill"
The January 2015 issue of St. Louis Magazine — the first issue since the publication's cover-to-cover redesign — includes a fun full-page article titled "How to Sled Art Hill." We were pleased to provide some tips for the piece, especially alongside an authority like Steve King, whom SLM calls an "Art Hill veteran and sledmaster of SledRiding.com." Forest Park Forever Featured on KMOV's "Great Day St. Louis"